I am in the mood for salads! It all started back in March when we had glorious weather and we thought Summer had arrived early. Then it rained and rained and rained. We moved towards the end of May and had another beautiful, hot, sunny week and we thought Summer had definitely arrived this time and then, yes, you guessed it more rain. Well today is such a day, dull, grey and depressingly dreich. Salad on a day like today has to be hearty and comforting. Apetina challenged me to make a leafless salad using their Apetina cheese, so today seemed like the day to take up that challenge. I always have some Apetina in the fridge as it is my husband's salad cheese of choice. I sometimes prefer a stronger feta cheese, but he prefers Apetina in salads. 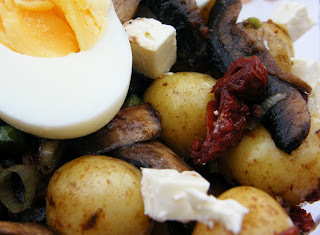 I teamed the Apetina with, potatoes, spring onions, mushrooms, sundried tomatoes and eggs. Then I dressed my salad with a mustard vinaigrette. 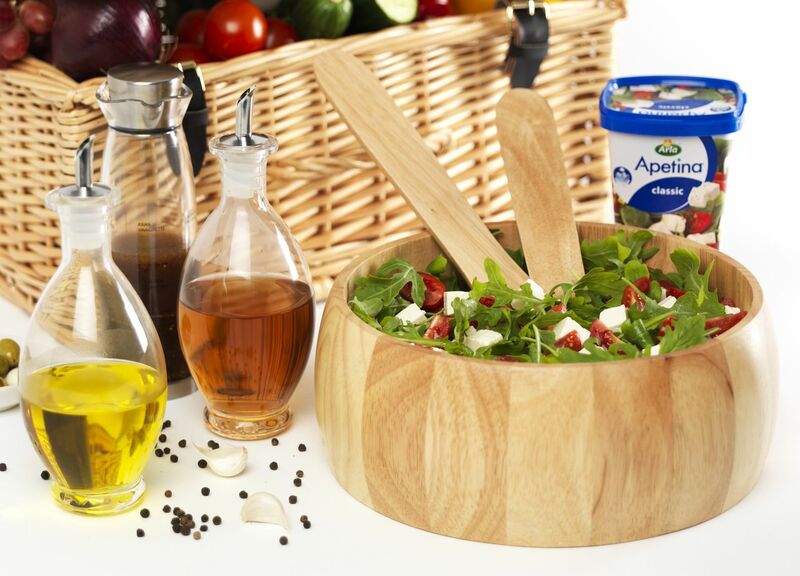 On Monday 4 June 2012 my salad will be appearing on the Apetina Facebook Page.Anyone who likes the facebook page and votes for my salad, will be in with a chance of winning a rather special picnic hamper set. A gorgeous basket, with a wooden salad bowl and servers, plus dressing bottles. In the final week, there will be a bbq as a prize too. Hope you like my salad enough to vote. Good luck in the prize draw if you do decide to enter. 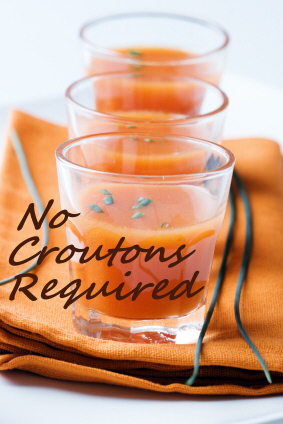 I am also entering my salad into this month's No Croutons Required. The topic this month is Leafless Salads. As usual, you have until the 20th of the month (June 2012) to enter a salad and it must be suitable for vegetarians. There is a slight change this month. Instead of emailing your entry, just add it to the linky at the end of the post. 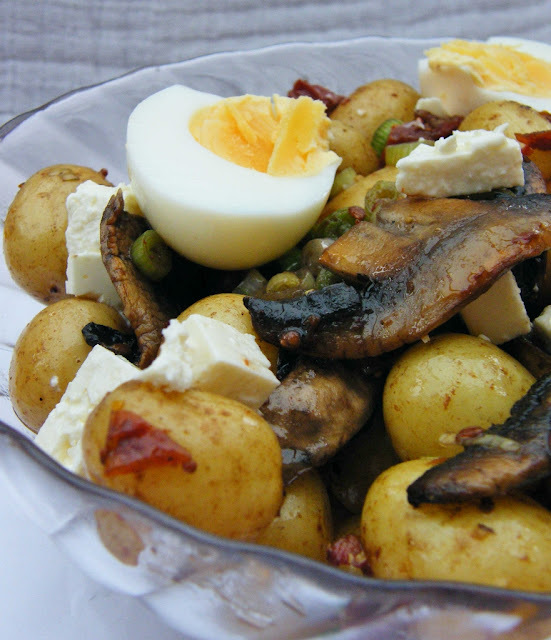 A hearty salad for wet miserable days. The ultimate in comfort food! Potatoes, spring onions, mushrooms, sundried tomatoes, feta and hard boiled eggs in a mustard vinaigrette. Disclosure: This is a Sponsored Post. I was required to post a recipe using Apetina Cheese. I was not required to write a positive review and any opinions expressed are my own. YUM. Like your salad enough to EAT IT! Today's salad here is cucumbers, finely chopped carrots, onions, tomatoes, chives and corn with maybe a touch of oregano and some garlic. Tasty but a bit on the spicy side, as the garlic has more of a kick than I thought, as does the onion. I'll try to remember to take a picture. I love the idea of combining balsamic vinegar and mustard for a mustard vinaigrette! This salad does sound very hearty. I'll be sure to vote for you tomorrow! Thanks Madge, I appreciate that and good luck with the prize draw. This is a great salad!! !Hope summer will come soon so I can better enjoy it! Looks delicious Jac and could do with a bowlful right now. Will see if I can figure out how to vote for your salad now. Good luck in the contest Jacqueline!!! This sounds lovely Jac, I love the combo of feta and potatoes. I'm not really a fan of salad leaves so this month's NCR is just perfect for me - I might even get round to entering it! Looks good. I've never had the chance to enjoy Apetina Cheese. It is a lovely, mild, milky and crumbly salad cheese. 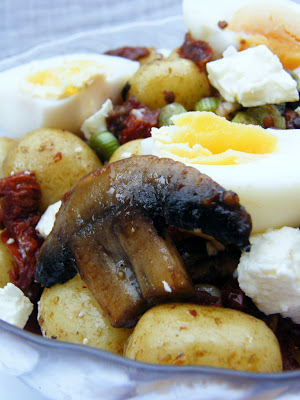 I love my salads like this fabulous one: real in great flavours & a tasty dressing! It is a stonker of a salad and the cheese is rather tasty. Yum! Wow. This sounds wonderful and I can't wait to try it on my family. I love salads too Jacqueline and this one looks lovely. Sorry I was too late to vote but looks like you won anyway...congratulations.